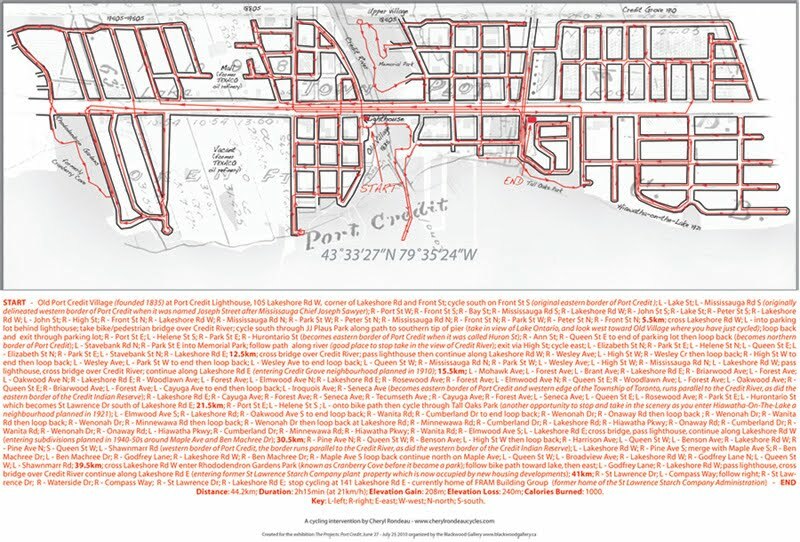 For the Projects: Port Credit 2010 exhibition organized by Blackwood Gallery, I have proposed a new local cartography through the creation of a meandering cycling route that retraces history and borders. 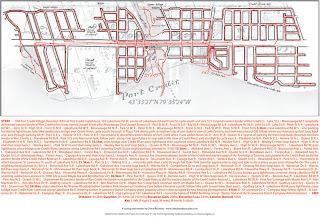 Revisiting these frontiers and boundaries in an effort to examine the transition from then to now and old to new; I remap a configuration of the old Village of Port Credit, physically linking it with the various communities and requisite components that eventually comprise Port Credit as it is now known. The project mines history, embeds the former within the current geography and thus emphasizes a process of ongoing change. I have created a limited edition map with proposed route details - including statistical information and historical references - that will be available gratis to visitors of the exhibition. Join me for a group bike tour starting at the Lighthouse (corner of Front St. and Lakeshore Rd.) at 12:30pm and ending at the opening reception.